JUVENILE justice denotes access to justice for all children. Generally the term juvenile means a person who has not reached the age at which one should be treated as an adult by Law. A proper function of juvenile justice system ensures protection of child who is in conflict with the law. Article 28(4) of the Constitution of Bangladesh requires the government to enact legislation for women and children and in pursuance of that The Children Act 1974 was adopted. Bangladesh has also ratified the Convention on the Right of the child (CRC) in August 1990 and is obliged to reflect the principles of CRC in our national Laws. How ever until now The Children Act 1974 is the substantive Law for juveniles in Bangladesh. The Children Act deals both with children in need of protection as well as children accused of breaking the law. In the present write up an attempt has been made to make an analogous discussion of the substantive Law and the prominent decisions of the highest Court of Bangladesh. The discussion may help one to understand what the law is and how it is set forth in the decisions by the highest Court in Bangladesh. Section-3 of the Children Act 1974 provides for Juvenile Courts and section-4 of the said Act identifies the courts empowered to exercise powers of Juvenile Court. The section includes the High Court Division, Court of Session, Additional Sessions Judge, Sub-divisional Magistrate and Magistrate of first class. In the case of Bimal Das v. State 46 DLR 460 it has been stated that the Sessions Judge may also, whether the situation demands it, exercise the power of a Juvenile Court. The sitting place and environment of Juvenile Courts are described in section-7 of the Children Act. The section requires separate date and time for juvenile Courts from the ordinary Court. How ever we may view the opinion given in the judgment by High Court Division (Criminal Appellate Jurisdiction) in Munna and others v. State 7 BLC 409. It is stated in the judgment that when section-4 of the Children Act 1974 empowers sessions Judge and Additional Sessions Judge to exercise the powers of Juvenile Court in the case involving child offenders for offence exclusively triable by Court of Session, mere registration of case as simple Sessions Case after receipt of the case record from the Sessions judge and non registration of the same as juvenile Court case will expose no gross irregularity in the matter. Further it is stated that it will also not be a gross irregularity and illegality to negative the proceedings and its ultimate decision unless it is alleged or shown specifically that there has been miscarriage of justice or failure of justice causing prejudice to the accused. Section-5 of the Children Act embodies the powers of Juvenile Court, etc. Under the section trail of children is exclusively within the jurisdiction of Juvenile Court and no other Court can take cognizance of any offence committed by the child below the age of 16 years. It is to be mentioned that the said Act defines child as a person below the age of 16 years. In this connection the decision of the High Court Division (Special Original Jurisdiction) in Bangladesh Legal Aid and Services Trust and others v. Bangladesh and others-7 BLC 85 is noteworthy. It is revealed in the judgment that considering the provisions of Law and the decisions of the Superior Courts of this Sub-continent the Court fined that the trial of child and adult together is void ab initio. (ab initio means from the very beginning). Section-6 of the Act provides for separate trial of child and adult. The section makes it clear that there can be no joint trial of child and adult and as such no child is to be charged with or tried for any offence together with an adult. The child must be tried separately in the Juvenile Court and not in the ordinary Court. Only the Juvenile Court is competent to take cognizance against the Juvenile offenders. In this relation the decision of Nasir Ahmed v. The State 42 DLR (1990) HCD 89 is considerable. In the aforesaid judgment it is said that the trial of child along with adult is forbidden by Law. In view of the legal position such trial is hit by want of jurisdiction and stands vitiated. It is clearly stated in Kadu & others v. The State 43 DLR (1991) HCD 163 that the joint trial of child and adult is illegal. It is also mentioned in the case of Kawsarun Nessa & others v. The State 15 BLD 1995 HCD 21 that the trial of minor together with adult is illegal. At the same time it is stated in the case of Baktiar Hossain v. State 47 DLR 542 that once a child offender crosses the age of 16 years and then charged with an offence or tried for the same, the statutory requirement of the child being tried by juvenile Court comes to an end. Section-66(1) (2) of the Children Act 1974 deals with presumption and determination of age of child. The section left the matter at the apparent opinion of the Court and it reads as '…. Where it appears to the Court that the person so brought before it is of the age of sixteen years or upwards ,the person shall ,for the purpose of this Act, be deemed not to be a child'. Under section-66 of the Children Act it is for the Court to consider whether a person charged with an offence and brought before it for trial appears to be a child or not and then to proceed accordingly. Here, we may consider the decision of State v. Mehdi Hasan and others 10BLC 1 where it is stated that when it does not appear to a Court or Tribunal that a person charged of an offence is below 16 years and above 16 years it got no duty to ascertain the age of that person. In the decision of Monir Hossain v. State 53 DLR it is said that when age of the accused is claimed to be below 16 years a duty is cast upon the Court to direct an enquiry to be satisfied itself as to whether the accused is a child below 16 on the day of framing charges against him. Earlier in the decision of Abdul Mumen chowdhury v. State 47 DLR (AD) 96 the same view was revealed that it is for the Court to consider whether the person brought before it for trial appears to a child or not. 1. Trial, if any, of all juvenile accused to be completed with utmost expedition by the Juvenile Courts and the concerned law enforcing agencies. Prosecution agencies and Legal Aid Committees be directed to take immediate steps in the matter. 2. Juvenile accused in jail must be kept apart from other prisoners. 3. Non-Official Jail visitors should include Human Rights Activists, specially the representatives of Children Organizations of the country. 4. Juvenile accused are to be transferred to correction houses and other Approved Homes with utmost expedition. When these directions are executed in the real sense of the term, there will be a materialistic development in the Juvenile justice system of Bangladesh. The implementation process requires the participation of Government and other relevant bodies. NGOs' may play a vital role in this regard. 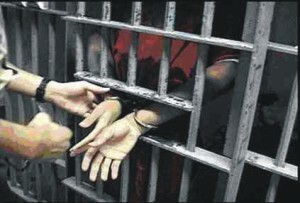 There is a common notion that Bangladesh lacks in Juvenile Justice system but we can easily say the Substantive law and the Verdict of the Apex Court of Bangladesh are supportive to Juvenile Justice System; factual and prompt implementation of these laws will reduce the distinction between text and practice. Only then a sound Juvenile Justice system will be ensured. The writer is a legal researcher.